Whoa, sorry I've been so quiet lately. It's been almost a week since I last posted. Unforgivable! Shameful! Disgusting! Okay, enough of that. Let me get you caught up. I've been very busy. 1. I have a deadline. Those are really good things to have if you're a writer, and I have to turn in Book 2 of The 13th Reality (The Hunt for Dark Infinity) to my wonderful and awesome editor, Lisa Mangum, this Friday, May 2nd. So I've been working on rewrites like crazy, and still have a lot to do. But I like how it's all coming together. 2. I have to shout out to Draper Elementary. I was fortunate to be a part of their Literacy Day last week, and it was fantastic. Anne Bowen was also there, and the event couldn't have gone any better. The principal, the teachers, the students - they were all incredible. The classes had done all these cool things like creating their own riddles and potential creatures from the other realities. It was AWESOME! Draper Dragons - you guys rock! A special thanks to Debbie Snow and Tamra Baker. 3. I went to the Fablehaven 3 launch party last Friday night. Holy cow. If you missed it, you MISSED it. I've never seen anything like that. Over 2,000 people showed up, and the whole thing felt like one big rock concert. I just about lost the old eardrums when Brandon Mull walked out and the place went ballistic. Brandon, you are officially a rock star. Congrats. 4. The Hawks beat the Celtics both times at home, tying the series 2-2. It's been a LONG time since I've had fun watching my Hawks, so I'm loving every minute of it. 5. Congrats again to the winners of the 13th Reality give-away. The books and t-shirt are in the mail! 6. I'm so lucky to be an author, and to live in Utah, where for some odd reason tons of authors live. In the last few days, I've hung out with Shannon Hale, Brandon Sanderson, Brandon Mull, Sara Zarr, Jessica Day George, Anne Bowen, Emily Wing Smith, yada yada yada. And none of it was really planned, either. You should come live here. 7. I will be in Spokane, Washington next week!!!! If you live close, come see me at the booksigning. Friday night, May 9th, Borders, 6:00, 9980 N Newport Hwy. I'll be in San Antonio the week after that. Details in another post soon. Me, Brandon Mull, Brandon Sanderson, Jessica Day George, Sara Zarr, Anne Bowen, and many, many others. It's gonna be nuts - come and join the party. I'm doing a reading at noon and I'm on a panel at 1:00 with Brandon Mull, Brandon Sanderson, and Mette Ivie Harrison. 9. I'm finally reading The Dark Tower series by Stephen King. Being a big fan of his, I'm not sure why I've waited so long. So far, so very good. And here's an important note for aspiring writers: notice I'm reading even though I have a huge deadline this Friday. All authors must be reading, a lot, all the time. I learned this from SK himself, actually. 10. 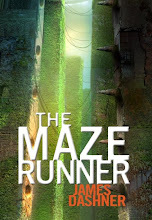 A lot of people ask me this, so here's the answer: still no word on The Maze Runner. A publisher has it, the editor loves it, just been waiting to hear back for a very long time. I think I may actually send it out to some other publishers if I don't hear back soon, and try to take advantage of the buzz over The 13th Reality. But I promise, somehow someway, that book WILL BE PUBLISHED!!!!! Wow, long post. Hope all is well in the world with you guys. Ever feel like that? Hang in there, you are loved. As promised, I wanted to blog a little about the new book, Fablehaven 3: Grip of the Shadow Plague by Brandon Mull. It was just released this week, and I'm sure many of you have heard of this series and read the first 2 books. If not, check them out! I promise you and your kids (if you have some) will love it. Mostly I wanted to make sure you knew about the huge launch party this Friday, April 25th. It will be held at Cottonwood High School in Utah (5715 S 1300 E in Salt Lake), and it's gonna be incredible. I'll be there, so if any Dashner Dude readers come to the party, seek me out and say howdy. I'll be the slightly goofy lookin' dude salivating over Brandon's success. There's gonna be a comedy group, characters from the books (including Muriel the witch), books for sale, giveaways, all kinds of fun stuff. And, of course, Brandon will be there. The comedy show starts at 6:00, the main show at 6:30. To find out more, visit Brandon's website: CLICK HERE. To buy the new book, CLICK HERE. The 4 of you need to email me your address so I can ship your prize to you. Also, let me know to whom you want me to personalize the book. My email info is listed on the side of this blog. Or you can post it in the comments here if that's easier. By the way, Fablehaven 3 came out today! I'm proud to say I'm now buds with the author, Brandon Mull. If you haven't discovered Fablehaven yet, get right on it. Check it out: CLICK HERE. I'll blog more about it this week. I wanted to make sure I announced that I will be at BEA this year in L.A. My signing is on Friday (May 30), but I will be at the convention the entire weekend. Dean Koontz will be there!!! I can't wait to meet him. Anyway, if any fellow authors, publishers, bookstore folks, etc. who read this blog are going to be there, send me an email. I'd love to hang and eat food. Don't forget the 13th Reality giveaway: you have until the end of tomorrow. CLICK HERE. Also, a good friend and frequent visitor at the Dashner Dude (Luisa Perkins) is blogging about grammar nazi stuff on Fridays. Check it out: CLICK HERE. To learn how to love and forget how to hate. We're very excited about getting reviewed by one of the largest papers in the country. Better yet, it's a very glowing review, making my day, my week, and my month. Maybe one day I'll get used to stuff like this, but I highly doubt it. "Something lovely has happened to youth fiction. James Dashner has written the first of a series of books about a 13-year-old lad named Atticus Higginbottom in The 13th Reality: The Journal of Curious Letters." "Dashner also has a sweet sense of humor that imbues the book with a lightness to its suspense that complements his storytelling. Needs must address the seven-volume gorilla in the room, and mention that in a post-Harry Potter world, weak attempts to capture the Rowling Zeitgeist abound. Few copycats offer anything but their pale imitations. The 13th Reality is not of this company." "The 13th Reality successfully delivers time well spent. The first volume of this series has been finely executed, and his invented realities have an entertaining moral construction for which the reader can easily assent. It is left to the next installment to divine if Atticus and friends have a shot at true literary height. No pressure." Also, and I don't mean to belittle these guys at all as an afterthought, because they are one of the most visited fantasy websites in the country, I got a review from Fantasybookspot.com. I really love how this review is written and how much they "got" what I was trying to do. Check it out: CLICK HERE. Sorry to pat myself on the back so much. It's just thrilling to get positive reviews from major reviewers, ya know? Authors are sad, pathetic people, and they need validation every once in awhile. This should last me through the end of the week. Or at least today. DON'T FORGET THE 13TH REALITY GIVE AWAY!!!!! You have until April 19th, and all you have to do is leave a comment to qualify. CLICK HERE. 1. I'm going to give away THREE signed and personalized copies of the new hardback, plus a 13th Reality T-shirt. I will also pay to ship it to you. 2. The only thing you have to do to enter the drawing is leave a comment on THIS blog post. Your name will enter the hat, from which I'll randomly draw three winners. 3. Here's the theme of the comments: What is your favorite book and why (in 25 words or less)? Disclaimer: mentioning my book does not increase your chances of winning, har har. 4. I'll leave the contest open until Saturday night of this week. So, until April 19th at midnight. 5. I'll announce the winners next Monday, at which time I will ask you to email me your address. Please check back next Monday and email me if you win. I will go to the next in line if I haven't heard from you in a couple of days. 6. Nice and simple right? If you guys spread the word and we get a good turnout, I just might do this each and every month until every person in the world has a copy. Of course, I guess you don't have incentive to spread the word because that decreases your chances of winning. Oh well, I'm doing it anyway!!!! In the meantime, I'm not sure how much longer the killer sale at Amazon will last. It's 5 bucks off over there! And though I'm sure you're going to win a free copy and a t-shirt, that doesn't mean you can't go buy a copy for every person you've ever met, plus three more for complete strangers (kidding, of course). If you've already read it, please go post a review: CLICK HERE. For the life of me, I can't think of anything to blog about today. So I thought I'd provide some links if you wanna see the extras provided in the April newsletter for Borders Bookstores. Also, I finally saw my book on the Original Voices shelf in an actual bookstore, which was way cool. Sarah, maybe you can do a picture out there and send it to me for posting. Pretty cool, huh? Borders, thank you very much! Also, I apologize for making an error. I will be in SAN ANTONIO, not Houston, on May 15-16. Sorry, Houstonites and Tamra Norton. I promise I will come there soon. I hope you'll spread the word and tell everyone about it. And please visit the website for Reel Line Productions: http://www.reellineproductions.com/. They also did a 10 minute interview with me that you can see on their site. If you're an author or know an author or publisher, tell them about Reel Line. They were so awesome to work with and made a lot of revisions to satisfy my publisher. And a TON of work. They really blew me away. THANK YOU!!!!! Also, my publisher has scheduled two additional tour dates. I will be in Spokane Washington (I finally get to visit the birthplace of Atticus Higginbottom) on May 8th and 9th and Houston Texas on May 15th and 16th. Details to come, but mark those calendars! It's been awhile since I last updated you guys on the progress of Book 2 (THE HUNT FOR DARK INFINITY). It's going well. I basically took a month off during the release of Book 1, but now I'm working like crazy again. My wife is currently reading the second draft and giving me feedback, always good. The most important thing: she loves it! Once I go through her suggestions and work through it a couple more times, then I'll be ready to send it out to my trusted author buddies. Then it's on to my editor. In case you didn't know, it's scheduled to be released in March of 2009. It's kind of weird to be the only person on the entire planet to know the details of your book. Particularly when you know it will be published and read by many. It's kind of like this magical secret that you're keeping from the world, living inside your head, a special thing for you and you only. On the other hand, it's terrifying to wonder what people will think about it. It takes a lot of work to write a novel, and no one can get past the worry that it will stink and be for naught. Now my wife makes it 2 people. I love hearing her little comments as she reads. Especially when she says how cool it is to see Tick and Paul and Sofia and everyone else in completely new situations and settings. That makes me feel like they've become real to her, which is what I ultimately hope for. I know Book 1 just came out, but I'm so excited for people to read Book 2! I personally think it's twice as good as Book 1, but I'm biased I guess. We'll see what you guys think. I better apologize in advance for something. I've heard from a lot of readers that Edgar is their favorite character. Him more than anyone else. Well, he gets electrocuted and dies in the first chapter of Book 2. Okay, just kidding. But he's not in the second book that much, so sorry. The nature of the story just doesn't allow it. But he (and his wife) will play a huge role in Book 3. So be patient. Last night I went to the annual author appreciation dinner put on by the publisher of the Jimmy Fincher books. I was a little nervous because sometimes I think they see me as a traitor. But they made me feel very welcome and still loved, to my great relief. And the food was dee-lish. Thank you, Cedar Fort. Especially Angie Harris and Kammi Rencher!!! I love that line. Mainly because I'm such a sensitive dude.